In the past, I’ve always designed my own covers, and I’ve enjoyed doing so. But I’ve seen so many awesome covers here at WordPress, I wanted to have one like those on my new book, too. That’s a great thing about interacting with other authors here at WordPress: I think we all find a little motivation and some ideas toward improvement. This cover is far better than I could have done myself. For one, if I have to put a person on my cover, I’m hopeless (a stick figure probably isn’t the way to go). There are some cool effects here that I wouldn’t have thought to try to do, and wouldn’t have been able to pull off if I had. If you hire a cover designer, (at a minimum) you definitely want the result to include features that you couldn’t have done by yourself. Melissa Stevens at www.theillustratedauthor.net, designed this cover. She has some cool horror covers on her website, and she also designed a cool spooky cursive workbook cover for a friend, July Harper (you can see all of Melissa’s covers by clicking Gallery on her website). So I knew that she would be a good fit to design a spooky, Halloween-themed cover for my book. Melissa also provided several illustrations that were used to decorate the interior (like the one shown below). Even if word scrambles don’t interest you, you might check out the interior in a week or so on Amazon, if you’re curious about how the interior is decorated. 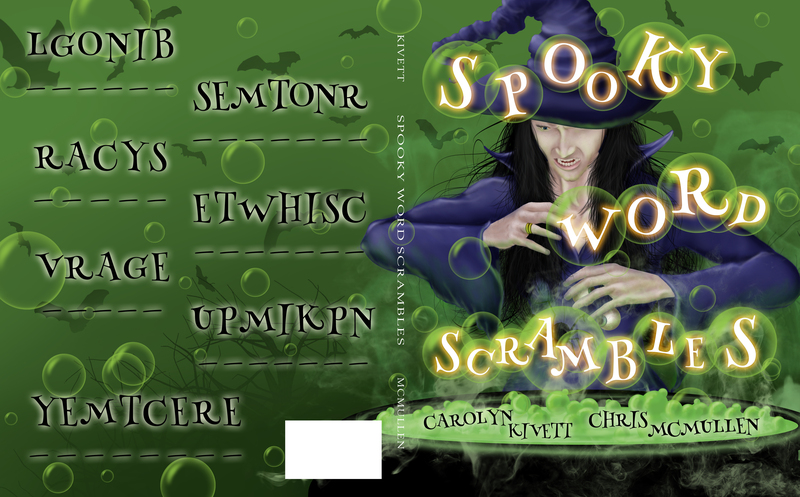 We’ve been working on this spooky word scrambles book for a year and several months now. We wanted to release in time for Halloween last year, but when that didn’t happen, we decided to put extra time into it. It’s barely coming out in time for Halloween this year. It should be out later this week. Although the title is Spooky Word Scrambles, many of the puzzles relate to Halloween. I think a cool feature of our word scramble books is the Hints section (separate from the Answers section). Have you ever been stuck on a word jumble, and wanted just a little help without getting the full answer? The hints section gives the first letter of the answer, which helps with this. Target audience: I mention this frequently in my marketing posts. 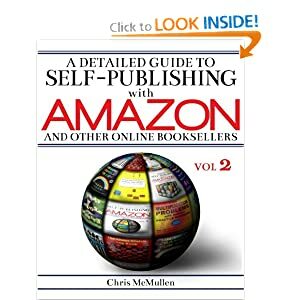 The focus of my blog is to help authors with self-publishing ideas. The audience for my blog isn’t word scramble lovers. Okay, maybe a couple of you do like puzzles, but definitely, if I’m trying to sell word scrambles, I have a target audience mismatch. I preach all the time that this is a huge problem. 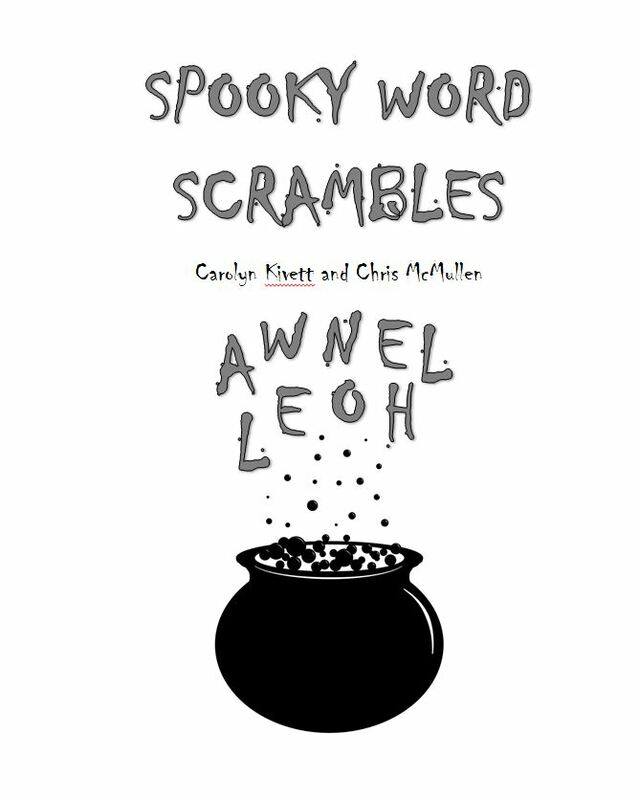 However, I didn’t do this cover reveal to try to sell word scramble books (but I’d also be a fool to beg you to please not buy it). Rather, I thought that my experience of hiring a cover designer may be relevant, and I want to use this cover to make a few points about cover design, which I shall do now. Three colors is a good rule of thumb, often in the ration 6:3:1. This cover follows this fairly well, with a primary green, secondary purple, and accent black. 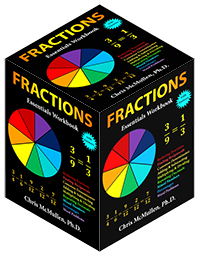 The other colors, used just a little, complement the main three, and at least a fourth color is usually inevitable when using a person or picture on the cover. Text should be interesting, fit the theme, and be highly readable. 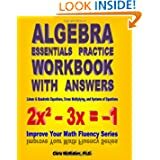 If you really want to be a picky cover critic, you could complain about readability in the title, but then you’d be awful silly in this case: Since it’s a word scramble book, if you can’t figure out the title, this book probably isn’t for you. 🙂 For most other books, I’d be more cautious before staggering the letters like this. 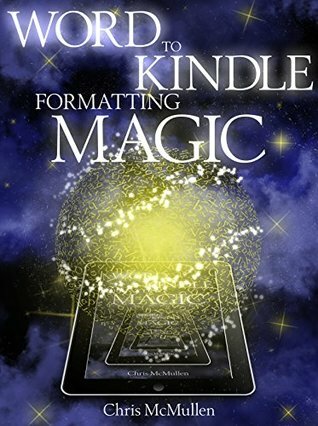 I like the way the author names stand out in the cauldron, and I like the style of this font for the theme, too. There is a danger of making a cover too busy. There are a few things going on here. The biggest question to ask is whether or not it’s distracting. The bats kind of just seem like shadows in the background, so may not distract too much. The bubbles serve a purpose by holding the title letters. However, even if you’re not in the target audience, your opinion would be valued. Feel free to disagree with my comments above. Obviously, I’m partial toward this cover; you’re more likely to be objective than I am. If there is anything about the cover that you like or dislike, please share it; I will be grateful for honest feedback. 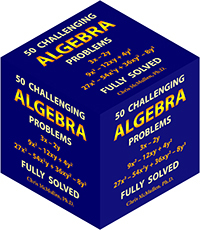 Here is a sample puzzle, in case you want to enjoy a fun word puzzle while you’re here. As in the book, every word scramble on a page fits a specific theme. So if you’re stuck on a puzzle, knowing that all of the words are related in some way may be helpful. You can find the answers at the very end of the post (below the picture). Cool cover…spooky enough but not scary for kiddies. Coming out this week! Spooky word scramble book for Halloween. Fun fur all ages. That is very kind of you. 🙂 And they should also pick up a copy of your Beginning of a Hero if they don’t already have one. Good idea. If they do then Prodigy of Rainbow Tower is the next logical step. This cover is fantastic. It looks like a fun book, one of my favorite things to do with kids in that age group, the preteens…say 9-12. They really love these and many adults too. Thank you. 🙂 This is one type of puzzle that I’ve always loved. I think you’re right about the age group, along with many adults. I’m glad you like it. 🙂 Thank you for pointing out which part you like best; that’s always helpful to know.